BRADFORD, Pa. – Rallying twice in its final at-bat, Bradford stunned visiting Oswayo Valley, 8-7. First, the Lady Owls scored twice in the bottom of the seventh to tie the game at six, and then, after Oswayo Valley had taken a 7-6 lead in the top of the ninth, Bradford scored twice to win the game. Makenzie Maley won it for the Lady Owls when she stole home plate with two outs after Nicole Sayers had tied the game with a one-out single. Oswayo Valley had taken the lead in the top of the ninth on a groundout by Madi Nudd. 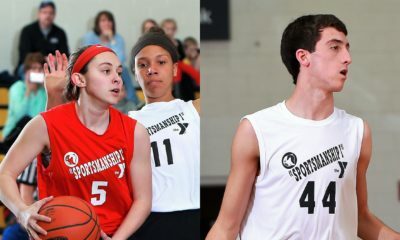 Trailing by two going to the bottom of the seventh, Bradford tied the game when Makenzie Smith scored on a passed ball. The Lady Owls first run of the inning came on a wild pitch that plated Emily Warner. Warner and Smith were both 2-for-5 with two runs scored and an RBI for Bradford, while Maley was 2-for-4 with two RBIs and a run scored and Bryn Manion 2-for-4 with a run scored. Nudd was 2-for-5 with a run scored and two RBIs for Oswayo Valley with Paige Smth going 1-for-5 with double, a run scored and two RBIs. 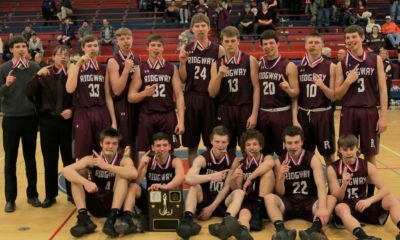 BROCKWAY, Pa. – Brookville captured its fifth straight win with a 10-4 road victory at Brockway. Hannah Kirkwood led the way for the Lady Raiders going 3-for-5 with an inside-the-park home run and three runs scored. Maggie Miller was 2-for-4 with two runs scored, Carlie McManigle was 2-for-4 and Leah Kammerdeiner was 2-for-4 with a double and two runs scored. Leah Lindemuth paced Brockway going 2-for-4 with a run scored. Shayna Terwilliger added a triple. McManigle got the win going the distance and allowing four runs, two earned, on seven hits while striking out five. HYDE, Pa. – Maggie Peck had a pair of hits including a second-inning solo home run while scoring three times and driving in two to lead Philipsburg-Osceola to a 12-2 win at Clearfield. Madison Lucas added a pair of hits and two RBIs, while Kam Harris has had two hits and an RBI. Jade Burge and Kylie Thal both chipped in two RBIs for the winners. Aspen Bishop had a two-run single to account for Clearfield’s runs. Harris got the win going seven innings and allowing two runs on five hits and no walks while striking out seven. Abby Fedder took the loss giving up eight runs on six hits and six walks while striking out three in 3 ⅓ innings of work. RIDGWAY, Pa. – A seven-run sixth inning helped Johnsonburg rally past visiting Coudersport, 10-5. Lindsey Kocjancic led the Ramettes going 2-for-4 with a run scored and three RBIs. Maddie Herzing added a hit, a run scored and two RBIs, while Skylar Sherry was 2-for-2 and Nicole Myers 2-for-4 with an RBI and two runs scored. Britnee Thorwart and Jaylie Johnson each had doubles for the home team with Thorwart going 1-for-3 with two runs scored and Johnson 1-for-3 with a run scored and an RBI. EmmaRae Easton had a double and scored twice for Coudersport. Sherry got the win in relief of Meyers going three innings allowing two unearned runs on three hits and two walks while striking out three. Myers pitched four innings allowing three runs on two hits and two walks while striking out six. Shae Black took the loss giving up seven runs, three earned, on seven hits and a walk while striking out six in three innings of relief. SENECA, Pa. – Alexis Nyquist was 3-for-5 with a double, a run scored and an RBI to help visiting Warren to a 9-1 win over Cranberry. Gracie Wood also had three hits with a double, scored three times and drive in a run for the Lady Dragons, while Ellie Lobdell was 2-for-4 with a double and a home run to go with three RBIs. Jenna Heugel was 2-for-3 for Cranberry, while Andrea Watson had the Berries RBI. Rachel McCauley added three singles. Natalie Barcinas took the loss allowing five runs on six hits and a walk while striking out one. Lobdell, whose home run was a two-run shot in the third, got the complete-game win allowing one run on seven hits and three walks while striking out five. KANE, Pa. – Alexis Lima-Lopez was 3-for-4 with a run scored and an RBI to help Kane to a 9-5 win over visiting Curwensville. Freshman Kennedey Himes went 2-for-4 with a triple and an RBI, while Marcie Stanisch was 2-for-4 with a run scored and an RBI. Rachel Danielson got the win allowing five runs, two earned, on five hits and five walks while striking out one. 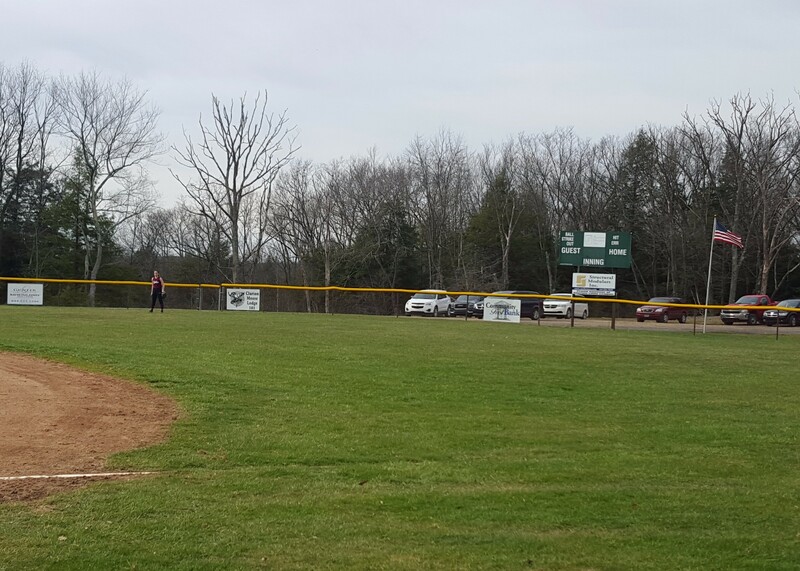 NEW BETHLEHEM, Pa. – Lexi Holt had three hits and Kara Hicks drove in five runs to lead Redbank Valley to a 17-1, three-inning win over visiting Forest Area. Holt was 3-for-4 with three runs scored and an RBI, while Hicks was 2-for-3 with a triple and a run scored. Also for the Lady Bulldogs, Lauren Rearick went 2-for-3 with a triple and two RBIs and Becca Kunselman was 2-for-2 with a run scored. Destiny Ginnery had a triple for Forest Area while Makiya Belloti was 1-for-2 with an RBI. Alyssa Burkett got the win going three innings allowing one run on three hits while striking out six. Jasmine Ginnery took the loss. WEST SUNBURY, Pa. – Kristina DeMatteis belted her seventh home run and went 2-for-4 with two runs scored and three RBIs to help Moniteau roll past visiting Pine-Richland, 11-1 in six innings. Gabby Stewart also drove in three runs for the Lady Warriors while going 3-for-4 with a triple and two runs scored. Cortney Claypoole added a double and was 1-for-3 with a run scored and two driven in, winning pitcher Kennedy DeMatteis also doubled and was 3-for-3 with two run scored and an RBI, Megan Hepler was 2-for-4 with a run scored and an RBI and Dolcey Shunk was 2-for-2 with two runs scored. Kennedy DeMatteis gave up one run on two hits and a walk while striking out eight in six innings of work. 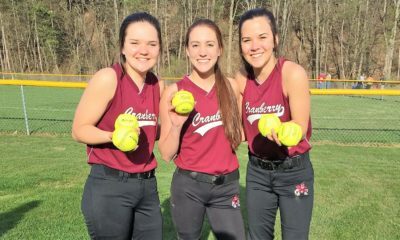 DUKE CENTER, Pa. – In a game highlighted by an Otto-Eldred triple play in the fourth inning, the Lady Terrors toppled visiting Sheffield, 11-0 in six innings. Emily Smith was 3-for-4 with a triple for O-E while Harlem VanScoter was 2-for-3 with a triple and three RBIs. Rachel Wolfe also added a triple. Mya Grubbs had a double for Sheffield. Alyssa Shelander got the win going six shutout innings allowing three hits and two walks while striking out six. Claire Pearson took the loss allowing 11 runs on 12 hits and a walk while striking out five.